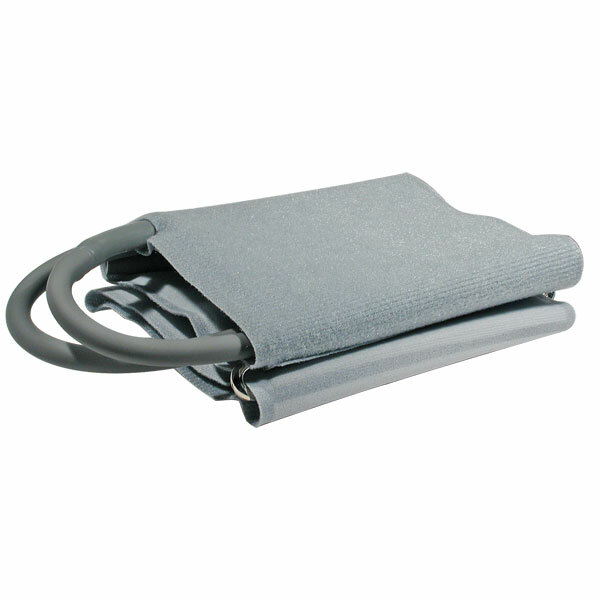 This is an adult cuff for a deluxe auto-inflate electronic blood pressure meter from Lumiscope. Note that this is for an arm circumference of 8.66 to 12.6 inches. Any more than that, and you would want a large adult cuff and any less and you would need a child cuff. Despite this being a cuff and bladder for a particular model of auto-inflate electronic sphygmomanometer, it works just fine as a 1-tube bladder and cuff for any general purpose. Of course, most manual blood pressure meters are of the 2-tube variety. Fabric is made of nylon. If you would like a cotton cuff, please order this one (click here). Available only in gray. But it's a nice gray.